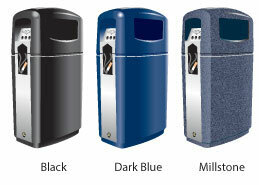 The Integro™ is an outdoor litter and cigarette waste bin. Its slim and modern design allows it to be suited in many locations, such as recreational areas and busy town centres. The Integro is a stylish, purpose-designed litter bin with integral ash containers, to combat general waste as well as cigarette litter all in one space-saving unit. Featuring double-sided apertures for waste disposal, this cigarette and litter bin combo ensures that pedestrian flow is not disrupted, making it ideal for busy areas such as city centres, recreational locations and residential areas. 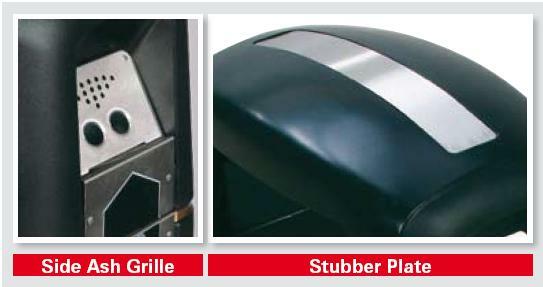 Two cigarette stubbing grilles on either end of the Integro litter bin, as well as a hood mounted stubber plate provide excellent smoking control, allowing users to easily deposit any cigarette waste. Constructed from high-quality Durapol® material, the Integro bin is designed to withstand the elements making it perfect for outdoor use all year round. 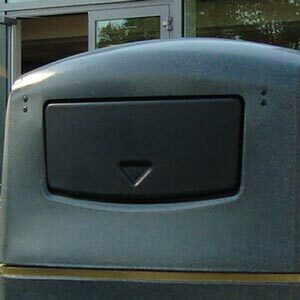 Complete with ‘Bin-it’ graphics and cigarette symbols, this modern and attractive commercial waste container encourages the correct disposal of waste in order to decrease littering within any premises. 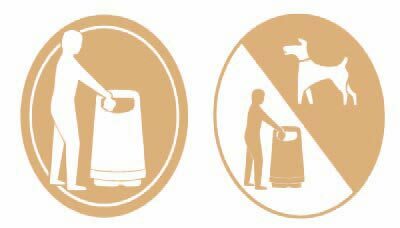 Bin-it Symbol in Gold, Silver, Black or White. Anti-burst lock - key to open, slam to lock. 2 cigarette ash grilles and liners (side of bin). 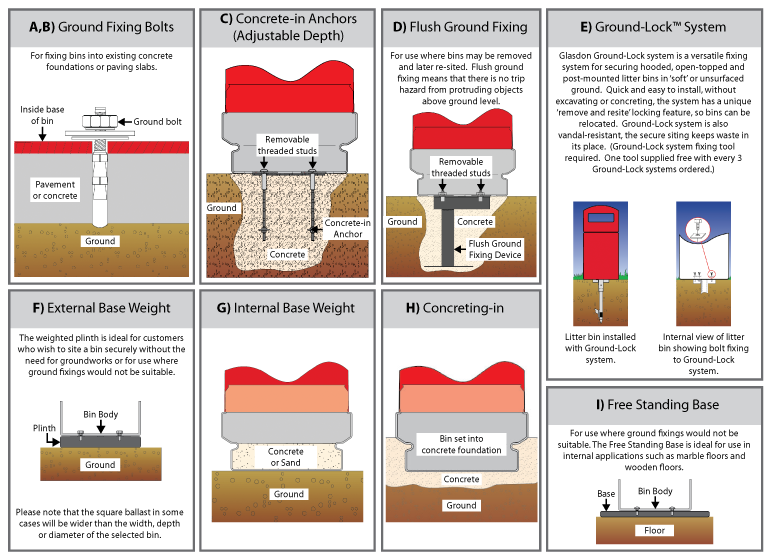 Can be permanently set into concrete foundations. By making some small changes to your workplace’s environment, you can deter smokers from littering their cigarette butts to create a cleaner and healthier environment for both your employees and community. The latest facts and figures about Britain's smoking habit. If you're considering providing a designated smoking area for staff or customers, there are a number of local and national laws and regulations you need to be aware of.